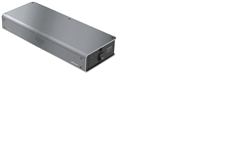 Niagara 1200 brings the benefits of highly optimized power management to far more music lovers and replaces the amazingly well-received Niagara 1000. Designed by Garth Powell, the Niagara 1200 embodies the very same design philosophy and incorporates the same patented technology found in its larger siblings, the Niagara 5000 and Niagara 7000, but packs it into a smaller, sleeker enclosure—at a fraction of the price. Much like the Niagara 5000 and 7000, the Niagara 1200 uses ultra-low resistance solid-core wiring optimized for low-noise directionality, capacitor forming technologies that vastly improve linearity and minimize distortion, and low-impedance AC inlet and outlet contacts with heavy silver plating over high-purity Beryllium Copper for superior noise dissipation. Similarly, Niagara 1200 features our non-sacrificial surge protection, patented Ground Noise-Dissipation technology, and over-voltage shutdown. The Niagara 1200’s non-sacrificial protection circuits ensure that your system is thoroughly protected from AC surges and spikes, and the Niagara 1200 protects itself—no damage, no down time. Set it and forget it. 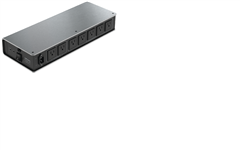 The Niagara 1200 employs AudioQuest’s patented Ground-Noise Dissipation System and Linear Noise-Dissipation Technology and fits seven high-performance outlets into its sleek cabinet-friendly chassis. Input current maximum capacity is 15 amps RMS in the 1200.